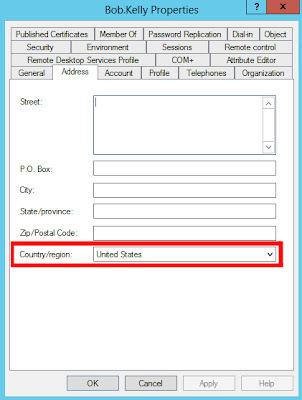 I was reading a post over at Jeff Schertz’s site the other day regarding getting Lync Phone Editions to use the tone set of your country, rather than the standard US tones. 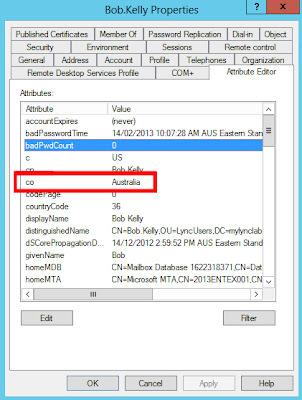 The “Country/Region” setting in the Address tab when changed actually controls two attributes within Active Directory, the “co” and the “c”. The Lync Phone edition actually honours the “c” attribute, and not the “co” attribute. 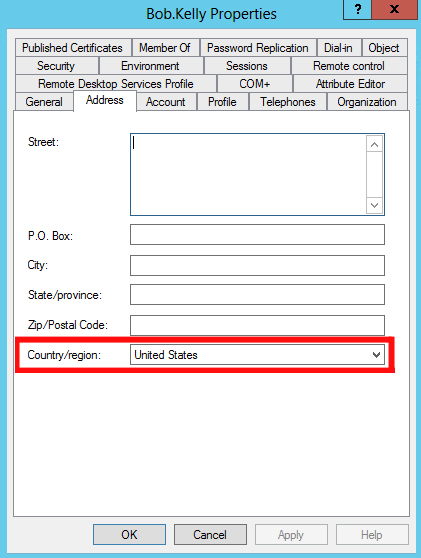 $question= Read-Host"Do you want to change the Country Parameter in AD for all lync users? (Y/N)"
Note: You can edit the country name in the script for your appropriate country.